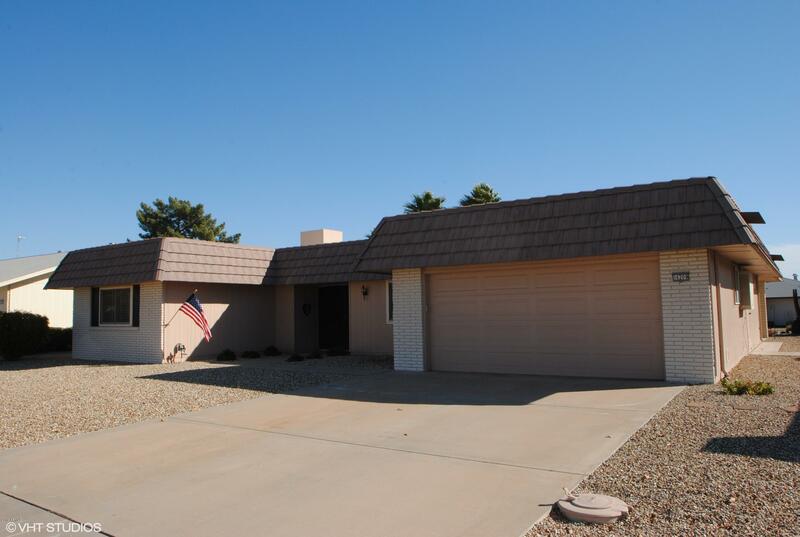 BEAUTIFUL MODIFIED GEORGETOWN IN DESIRABLE LOCATION OF SUN CITY. FEEL ALL THE COMFORTS THIS HOME CONVEYS! This home features neutral plank tile flooring, fresh two-tone paint, new interior doors, newer energy-efficient low-e Renewal by Anderson windows, plantation shutters and updated kitchen and baths. Convenient inside laundry room with space for office or crafts. 2-car garage offers plenty of storage. Covered patio off the Arizona room overlooks the spacious easy-to-maintain backyard.